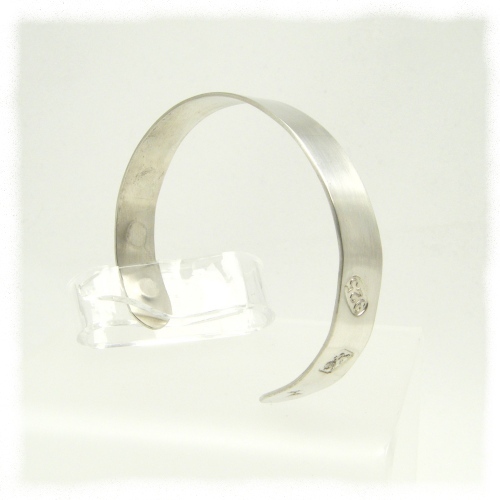 A bracelet to celebrate hallmarks and particularly the extra hallmark for the Queen's Diamond Jubilee. This has the five traditional marks and the extra mark split in two groups of three. This gives an area suitable for engraving. Outside shiny and satin (upper) versions are available. 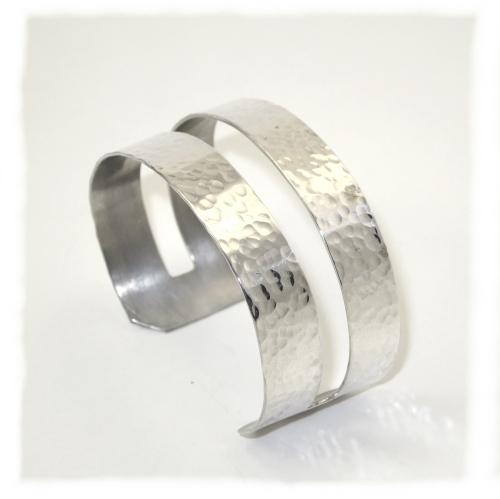 This open bracelet has an alternate pattern of bark effect and bright polished silver. It weighs 13g. 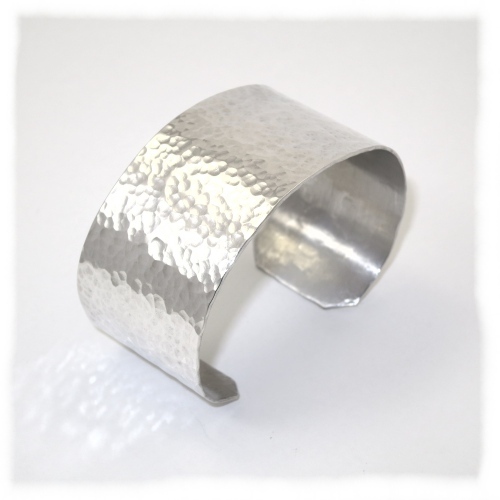 This solid, wide and quite thick cuff with a dimpled pattern weighs 47g - an ounce and a half. 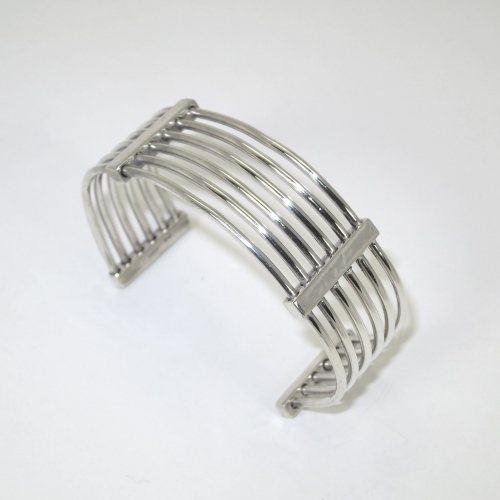 This wide cuff has a dimpled pattern with a slot. 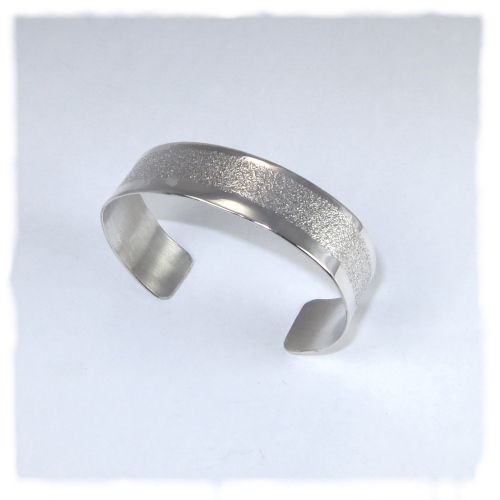 It is solid silver and weighs 36 g.
This bracelet can be squeezed in to accomodate different wrist sizes. 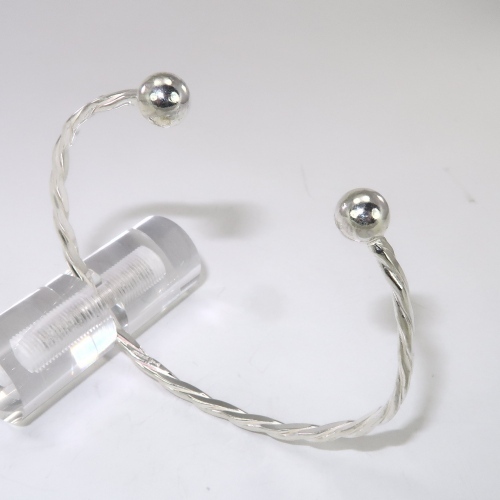 It is a development of the two wire bracelets above. 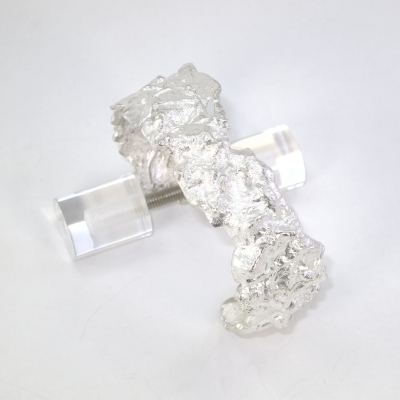 It is made of anti-tarnish wire and weighs 40g. 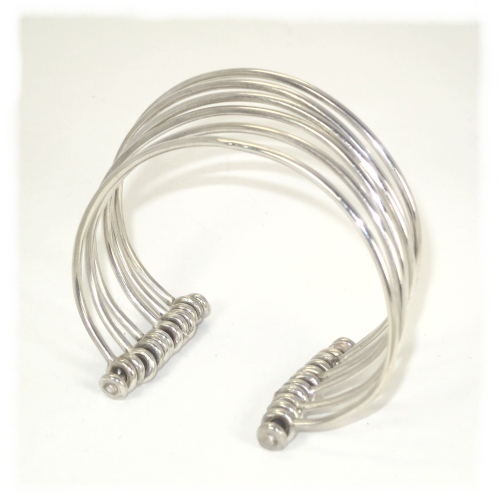 This hallmarked sterling silver torq is constructed from three twisted wires with heavy silver balls at the ends. There is a version with a solid band here. It can be squeezed in to accomodate different wrist sizes. It weighs 11 grams. Weighing 11 grams, this bracelet is a substantial piece and fit for day to day wearing. It is the same in concept as the copper version or copper/ silver version. 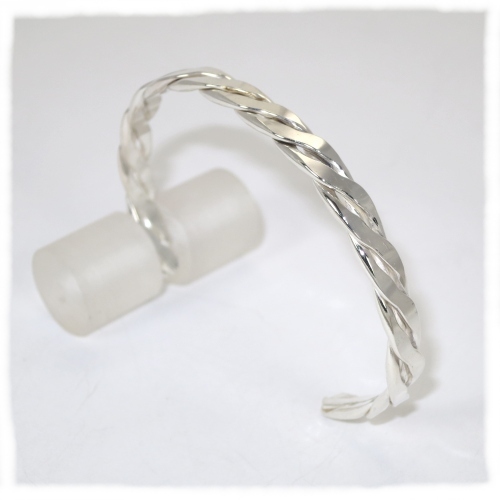 This bracelet is made used the same technique as the fused pendants. It weighs just under 100g.The inner length is 16cm. If you make a strip of paper and wrap it around your wrist that should help to judge the size. The bracelet can be carefully bent to give a good fit on the wrist, but are too thick to flex for daily tightening and loosening. Your wrist should just be a tight fit through the gap when it slips on the side of your wrist and it won't then slide off. I can always make one for you, but they will all look slightly different. 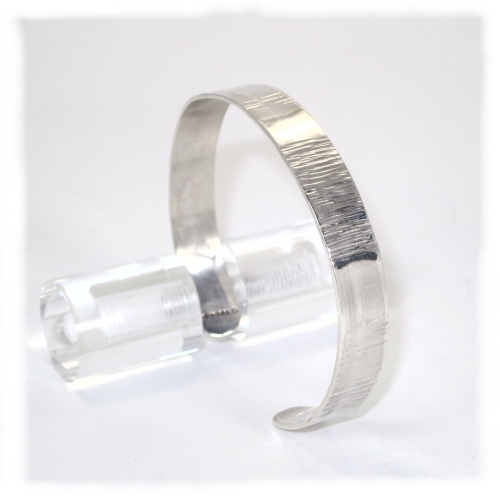 A thick sheet bracelet about 18 mm wide with a strip of sparkly texture slightly off centre round the band. It weighs 28g - an avoirdupois ounce. It can be easily bent to suit the wrist and will flex to allow easy fitting and removal.